mon cleaning solutions like ammonia and bleach. The pH level influences much in a trout’s world. It plays a significant role in egg development, the size and growth of fish as they age, and if they live or die. Numerous studies by fishery biologists have shown that waters high in acidity (pH 5.0 or lower) can be detrimental to fish development and growth, and, in some cases, increases fish mortality. Most of the scientific literature suggests that water leaning toward the alkaline side of the pH scale (from 7.1 to 9.0) is the best condition for trout to obtain large sizes. High alkalinity (pH 10.0 or higher) may not be as detrimental, but it does lead to more lethargy and less feeding activity by fish. Our experiences as fly fishers confirm this for the most part. Lakes and streams with water in the 7.0 to 10.0 range are nutrient rich. They typically have plentiful vegetation, which indicates nutrient rich water. These are also the waters that have a high concentration of the aquatic invertebrates that trout feed on. 0.0 to 5.0 High Acidity Low productivity. Water is low in oxygen. Limited nutrients with smaller trout. Extremely low levels are not tolerable for trout to survive. 5.0 to 6.9 Low Acidity High-quality water with good productivity. Lakes and stream can have large concentrations of trout (although not necessarily large specimens). 7.0 Neutral Indicates pure water. Lakes and streams can have large concentrations of trout. 7.1 to 9.5 Low Alkalinity High-quality water with good productivity. Lakes and streams can have large concentrations of trout with large specimens. 9.5 to 14.0 High Alkalinity Low productivity. Not as detrimental to trout as high acidity but leads to lethargic activity and limited feeding. Extremely high levels can be lethal to trout. Waters that dip just below pH 7.0 are typically not a serious problem for trout they hold. In fact, fishing can be very good on these lakes and streams. They can hold a high concentration of trout (although not necessarily a lot of large specimens). It is when they begin to approach 5.0 and lower that conditions get tough. These waters generally have depleted oxygen levels. There is still life on these lakes and streams, but trout populations are not necessarily large, and neither are the individual trout that live in them. Tolerance levels vary by trout species. Cutthroats, rainbows, and brown trout tend to favor the alkalinity levels between 7.0 and 9.0 and react negatively to levels below 6.0. 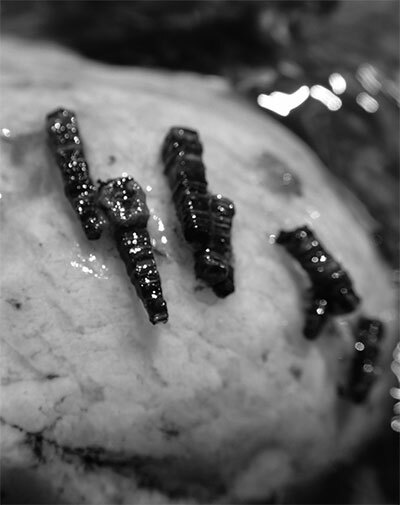 Some species of char, on the other hand, have a higher tolerance to acidic water. There are strains of brook trout that do just fine when pH is below 5.8. These would be tough conditions for rainbows and cutthroat. Streams that flow through carbonate-rich rock have optimum alkalinity. These rivers are high in nutrients and have abundant populations of trout forage like these caddis from the Madison River. The ecology of a drainage—from its headwaters to its point of termination—plays a crucial role in its acidity and alkalinity. They can vary greatly as its waters move downstream. At the headwaters, acidity is generally high with pH levels at or below 6.0. This is the result of rain and snow that have not captured surface effluents. This is why you won’t find large numbers of trout in headwater creeks. It is also the reason why brook trout, with their higher tolerance to low pH, are considered one of the ultimate headwater fish. Some of my favorite backcountry fishing is done on creeks above 8,000 feet where eight-inch brookies are plentiful. tures and the pH levels are perfect for trout. phorus levels, coming from land used for agricultural, industrial, and residential purposes, can be very high. 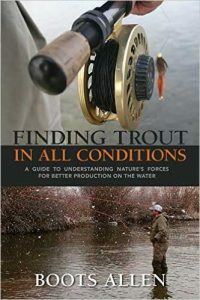 The results are detrimental conditions for trout. The research on this topic is interesting. It reveals what the big picture is regarding healthy trout water. The more we know about optimal pH levels, and the pH of the lake or river you are fishing, the more we know when concerns are raised to protect that piece of water. But this is big-picture stuff. 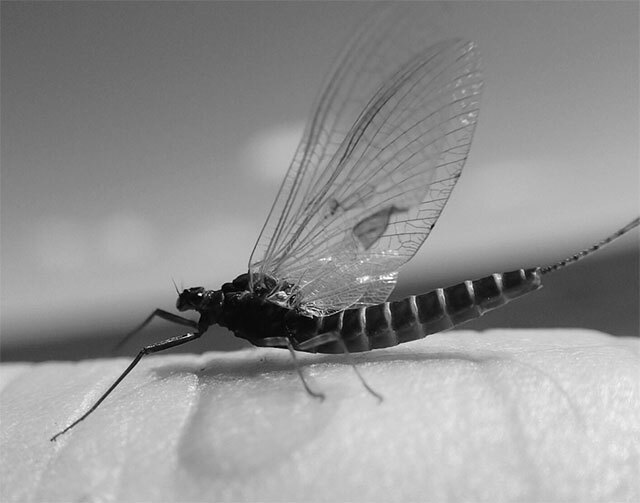 What matters to the fly fisher when he or she is on the water and in the moment is how pH influences trout activity on a given day. Monitoring immediate pH levels on streams and lakes is difficult. Portable pH meters have been around for quite a while. Some are said to be designed for fishing. I personally haven’t had much luck with any of them. The dozen or so times that I have used one yielded either incorrect information or differences from one location to another that seemed inconsequential. Another tool is pH solutions that can be added to a sample of water collected in a vile or petri dish. You match the color of the sample to a color-coded chart, which tells you the pH. I have found this tool to be more accurate. However, taking samples can be time-consuming, and you will have to lug around another two items in your gear bag or pack. Trial and error has taught me to rely exclusively on stream gauges to monitor changes in pH. What I feel are most important, and what I pay attention to, are pH spikes—rapid upsurges in alkalinity. These spikes can be influenced by a number of factors. Runoff from precipitation is the most common cause (in fact, some die-hard, sea-run anglers in Europe claim it is the surge in pH, and not the increase in water levels, that triggers upstream runs by salmon when they are in rivers to spawn). Fluctuations in water temperature and natural light are also sources of pH spikes. It is during these times that trout feeding activity intensifies. I also experience increased activity by aquatic invertebrates. This is revealed by either emergences of aquatic insects or by the migration and movement of aquatic insects, leeches, and crustaceans. Instead of using pH meters and sample solutions, I note the time and intensity of the activity. When I finish at the end of the day, I examine the gauges of the stream I am on. It doesn’t always occur, but much of the time there will be a noticeable surge in pH, usually between .5 and 1.0 on the graph. Unfortunately, most rivers do not have monitors equipped to measure pH, and I have never been on a body of stillwater that had such a gauge. But for those streams that do, a pH gauge can be a useful device. It can tell you about that body of water, how pH levels impact trout there, and the organisms the trout feed on.